I absolutely adore the Dolce & Gabbana makeup line, which is possibly one of my favourites from the various luxury fashion brands. Unlike many, this isn't just a brand extension done as an afterthought through a license but a range of products which are incredibly well thought out and fantastic quality. The makeup has been developed in collaboration with uber celebrity makeup artist, Pat McGrath so it's perhaps unsurprising just how good it is. I've recently been using some of the Intense Kohl Eye Crayons. 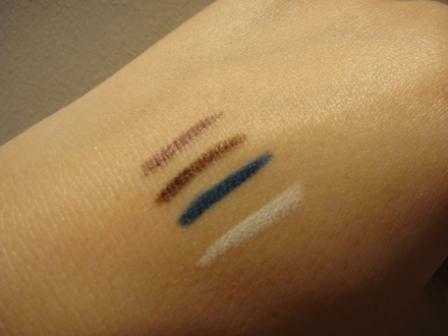 I believe that the Intense Kohl Eye Crayons are available in five colours and I've tried them all bar the black. No 2 is called True White and is a bold, matte white which is great for brightening and awakening the eyes, particularly if used in the water line. No 3 is called Peacock and is a slightly irridescent turquoise colour. No 4 is called Chocolate. I was expecting this to be the standard, muted brown offered by most brands but it's actually a stunning metallic brown with bronze flecks and is my favourite out of the four that I own. No 5 is called Dahlia and is a metallic lilac that is very pretty for spring (it looks much prettier on the eye than my swatch suggests). I'm super impressed with these. 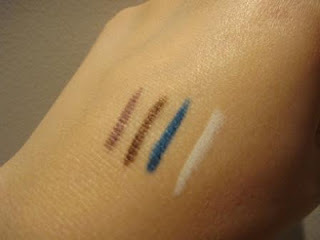 The pigments are intense and they are really gorgeous, unusual shades. The pencils themselves are soft to use, with no drag. They can be smudged lightly to soften the look. 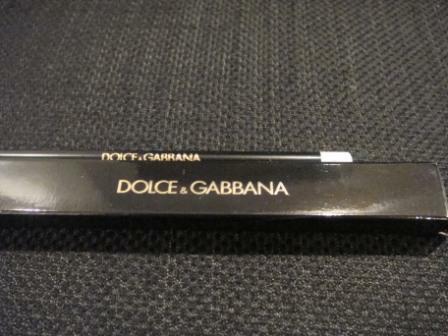 Dolce and Gabbana makeup is exclusive to Harrods and is undeniably expensive. At £17.50 for each of the Intense Kohl Eye Crayons, these are far from cheap but I do feel that this is reflected in the quality and they are worth a look if you want to treat yourself. I love the look of the new D&G line... that Peacock liner is stunning! Thanks for your comment. The Peacock shade is gorgeous, although I feel that it's probably the one that I'd get least wear out of. All are stunning shades- I wish I was better at photography so I could show them more clearly!